Brewdog Punk IPA is a popular Craft Beer available from Tesco Groceries in 330ml to buy online. Visit Tesco Groceries for the best price for 330ml of Brewdog Punk IPA or compare prices on our other Craft Beer products. With a fantastic golden colour and aroma that has tons of sugary sweet caramel malt, grapefruit, citrus, floral notes Brewdog Punk IPA is a far cry from bland, cheaply made watered down lager. Starting off with a dash grapefruit pith, then some sweetness dances in giving great balancing and leading to a finish that has tons of sweet ruby red grapefruit. Where to buy Brewdog Punk IPA ? 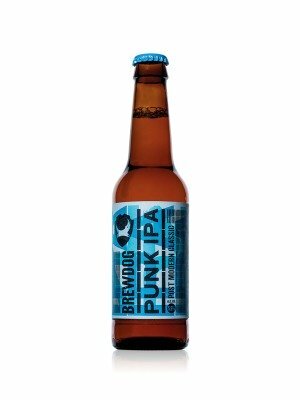 Brewdog Punk IPA Supermarkets & Stockists. You can buy Brewdog Punk IPA online in most retailers and find it in the Craft Beer aisle in supermarkets but we found the best deals online for Brewdog Punk IPA in Tesco Groceries, TheDrinkShop, DrinkSupermarket.com, Waitrose Cellar, and others. Compare the current price of Brewdog Punk IPA in 330ml size in the table of offers below. Simply click on the button to order Brewdog Punk IPA online now.